One of two venues belonging to The Meredith Group who also run The Portman in Portman Village, The Only Running Footman is a popular pub, restaurant and private event space complete with a truly British menu featuring home-grown produce direct from the farmers. Guests can sit up at the long mahogany bar or opt for comfy booth seating and enjoy traditional Blighty breakfasts or old-style pub menu favourites later in the day, accompanied by real ales, premium lagers or something from the extensive international wine list. The restaurant is more luxurious, serving stylish items like rillette of rabbit and duck, spiced pear chutney and toasted granary bread against a backdrop of velvet chairs and plush carpeting. Above sits a beautiful private dining room which is available for exclusive hire while on the top floor there's the exclusive private kitchen with a top chef to cook for you and your very own host to serve at your party. You choose your chef, your menu, and your wines and then sit back, relax and watch your meal being cooked right in front of you. Your chef will be more than happy to teach you about the dishes he is cooking from the preparation right through to plating and dressing it. For those who feel that the wine bar set have lost sight of what made Britain great, The Only Running Footman is definitely for you. The Only Running Footman gyms, sporting activities, health & beauty and fitness. The best pubs near London The Only Running Footman. The Only Running Footman clubs, bars, cabaret nights, casinos and interesting nightlife. 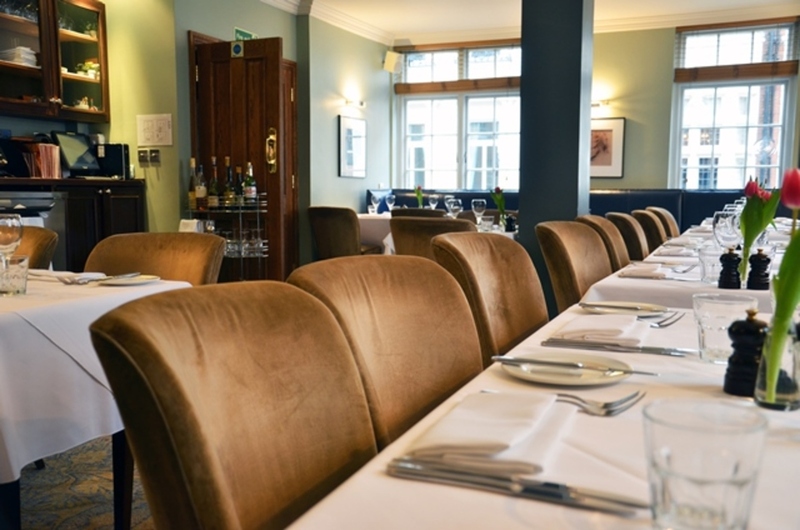 Where to have your meeting, conference, exhibition, private dining or training course near The Only Running Footman. From cheap budget places to stay to luxury 5 star suites see our discounts for The Only Running Footman hotels, including Holiday Inn London Mayfair from 79% off.